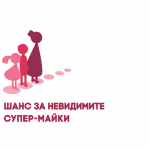 Bulgarian Fund for Women is establishing a Fund for Art Projects by Female Artists and seeks your support to raise a minimum of 15 000 BGN. The Fund’s aim is to fight the insufficient representation of women in professional art and the cultural sector, to shed light on the work of female artists/painters and to increase their access to financial resources. The Fund will also support projects, which interpret crucial issues related to women today, including those of minorities. “Why art projects? Why for female artists only?” you may ask. Because art searches and creates ways to connect people. And the roads for women in art are thorny and often reflect their daily struggle to defend their right to create. They are still only a few, especially in the world of institutionalized art. Even today, the work of female artists takes up less than 20% of the space of leading galleries and museums, and more often than not they are not represented at all. Thus we, the public, see less than half of the entire picture of the artistic world. In Bulgaria, there are 72 male and only 5 female artists included in the new contemporary Bulgarian art collection of the National Gallery Kvadrat 500. In a recent exhibition of the collection of the United Bulgarian Bank there 47 works by classic Bulgarian artists shown. Mere 5 of the works were authored by three women. There have always been and there will always be women in art no matter the recognition of the academic world. It is for a fact that women have had the freedom to express themselves artistically no longer than a century – to study in art academies, to publish their written work, to exhibit their paintings, to provoke our senses and perceptions in their own unique way. Even though they have always been a part of it, it was usually in secrecy, hidden behind pseudonyms, showing great strength to oppose discrimination. We at BFW want women to take their hard-earned position in the history of art, to express their talent without the risk to be underappreciated because of their gender. We need their stories to have a just representation of our world. This is why we created the Fund for Art Projects by Female Artists. The fundraising was set off in the summer of 2017 through a collaboration with Power Pops, who proceed to donate part of their popsicle sales to the fund. BFW will double each donation in support of the creative talent of Bulgarian female artists. Please donate so that we can show the invisible 2/3rds of the picture and to enrich the world of art with the voice of women artists!